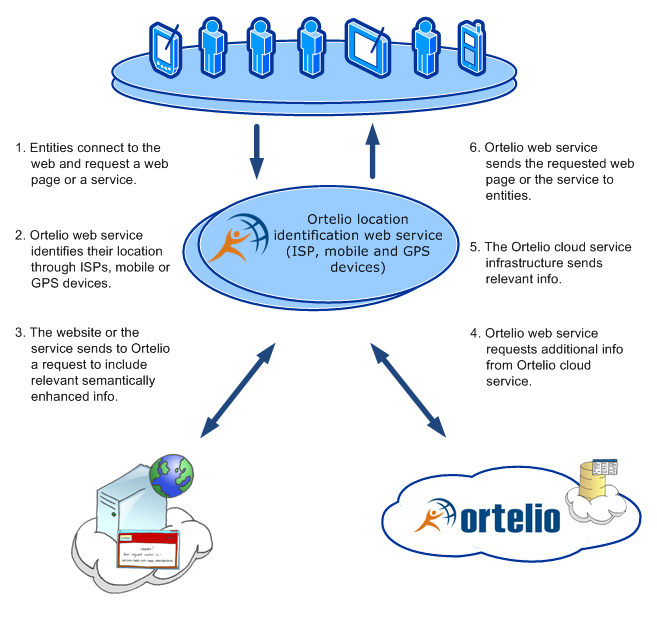 We provide location based services through our Ortelio™ platform. 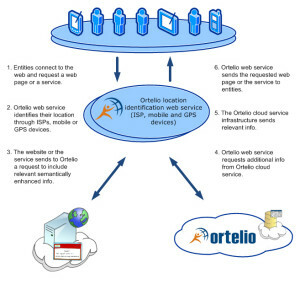 Ortelio offers a cloud based location service architecture that is capable of providing personalised services to “entities” such as human users, internet-of-things sensors and devices, robotic assistants and virtual entities, and can be applied in several domains and application contexts. For example, Ortelio cooperates with Internet Service Providers (ISPs) and web content providers to add location specific content (such as location targeted advertising) to the web pages that internet users are viewing, without the need of knowing the user’s personal information. By doing this, Ortelio guarantees the relevancy of the ad for the user, independently of the web content they are viewing. Location information can be accurate down to neighborhood level. In the transport domain, we are developing in-vehicle assistants that offer personalised navigation services (voice included). Such services can be tailored according to passenger profiles (age, capacities, but also purpose of trip). Local points of interest (and local content) can also be shown on screen. We are also discussing with logistics and transportation companies, exploring the potential of developing emergency management services.